Students will learn about the development, tools and materials of the bookbinding craft, will see the birth stages of a book. Participants will be able to try to sew the book collars on the wooden sewing frame, emboss ornaments on the leather using single stamps or decorate a souvenir notebook with the Renaissance stamps (all are included in the price). If you want to decorate more sophisticated items, you should arrange it in advance and pay extra money. Price: 100 EUR for a student class. 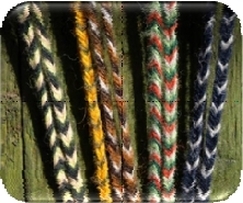 Participants will learn how the stripes were used to be braided more than 1000 years ago, what colors of threads were used, and will be able to braid a stripe themselves: bracelet, hair band or a leash for a pet. Price: 72 EUR for a student class. 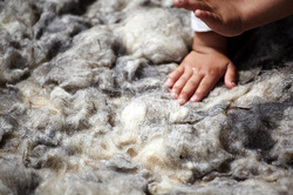 Participants will be able to touch and smell various fibers used in ancient times for making threads, fabrics and ropes. You will learn that Elenytė's woven nettle shirt was not just a fairy tale. You will also twist your own string of tilia bast or other material that would fit as a bracelet or cord to hang ornaments. Participants are introduced to the old Vilnius ceramics, see what dishes people ate from, what tiles the furnaces were made of. 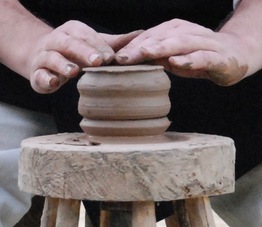 Participants will have an opportunity to try throwing and work with the hand-powered or foot pottery wheel. After all, you can take the made items with you. Participants are introduced to the old Vilnius ceramics, see what dishes people ate from, what tiles the furnaces were made of. During the practice everyone can make his own cup, burn it in the stove, soak it into the ferment and make a unique souvenir fitting in a pocket. Introducing the items made of various animals bones and horns in ancient times. Participants can make a pendant for themselves: on the made-up workpiece drill a hole using an ancient drill and carve a wanted ornament using the special tools. 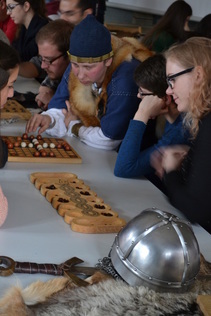 Participants will learn what kinds of leather were used and what items were made in ancient times (clothes, pouches, belt bags, footwear, etc.). 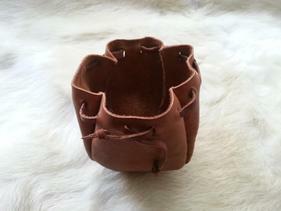 You can try to work with the leather decorating and processing tools, and try to sew a stitch. During the session participants wrinkle or sew a pouch. You will learn more about glass history, how people discovered glass and how the glass is made. You will see ancient techniques of glass bead making, also you will know interesting facts about history and archaeological findings. You will hear a story about a bead as a monetary unit (how many beads do you need in order to buy a cow?). Pupils will work with hot glass and will make one glass bead of the class. Price for a class: 100 EUR. During the session students are introduced to the wool felting history, wool characteristics, making process and the ancient felting tools. Participants will test this oldest method of non-woven textile making a small ball by wet felting technique. Each student will take a bracelet with a small ball home. 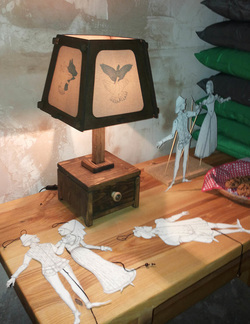 Introduction to the shadow theater history, different means of expression and methods of making shadow puppets. Participants watch the play, make shadow puppets and test them near the screen. You can choose the play. Price: 160 EUR for a student class. Price: 100 EUR for a group up to 20 persons.